With summer fast approaching and those of us in the Northern Hemisphere spending more time outside I figure this is one topic everyone can feel comfortable with joining in. Child's play is anything that you consider to be "Child's Play". In my mind I think of kids playing in a park, the aftermath of the play area when the kids all run off to the next play set to antagonize, or even the grownups who enjoy being young and refusing to "act their age". I'll try to come up with some "Sample" shots of this, but I do hope you all get the idea behind this. Maybe it's people in costume, or your kids' play area when they finish playing. Maybe it's running in the yard under a sprinkler or blowing on a dandelion and chasing the seeds. As with the other challenges, minimal editing (if any) and it must be taken during challenge by you. I'd like to close the challenge on the 30th of June (2359 EDT) to try to get back to the month to month schedule. I'll be open to slight extension if requested. Come on guys, that's your chance ! I'm in the same boat, no kids and wont take photos of other peoples kids either. Good luck though! If I understand Turtle's directions clearly, the actual photo itself does not have to show kids, if you so choose. So enter away! I have no qualms about shooting other people's kids, so I intend to do so – especially since GSpotter and PB PM are hesitant! However, in English, something is said to be child's play if it's easy to accomplish. So children may not be strictly required for this challenge (though I have children in mind for my own shot). You guys are correct that children/minors are not required or expected for this shot. In my mind I think of kids playing in a park, the aftermath of the play area when the kids all run off to the next play set to antagonize, or even the grownups who enjoy being young and refusing to "act their age". Feel free to shoot anything that you think of when you think of child's play. It doesn't mean the image has to have anything to do with toys either. Brad and his wife dressed up in costume would fit the bill nicely as a matter of fact! Not aiming for a win as much as to share a new interest (and to bump the thread). About thirty years overdue, last month I finally played my first ever game of D&D with some awesome coworkers. 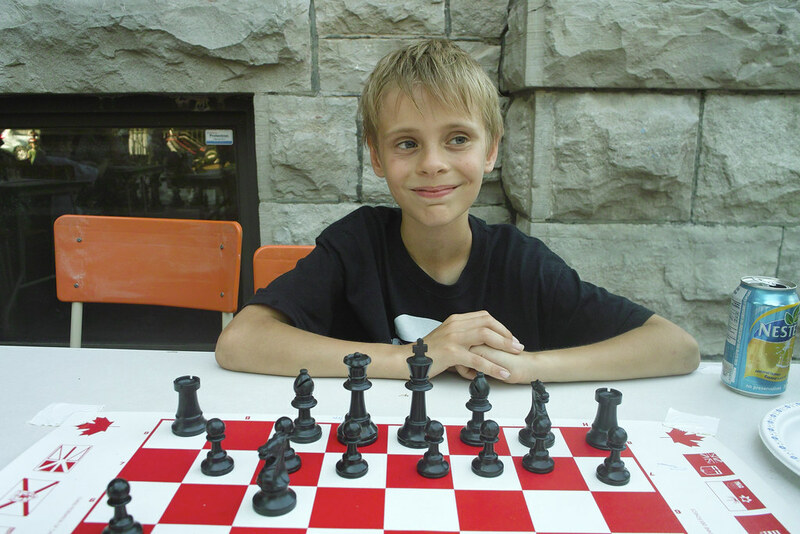 I went in totally cold having only the most basic idea of how to play, but I left feeling great and confident. 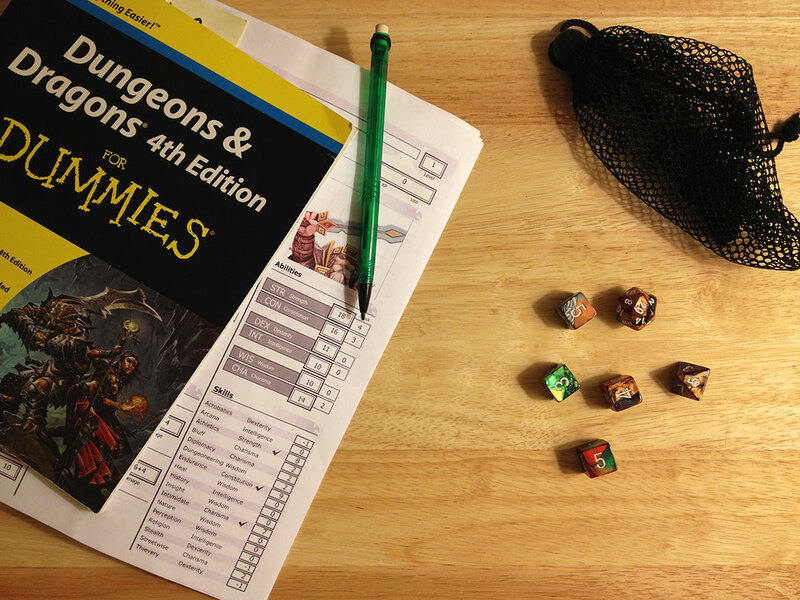 The DM loaned me his For Dummies book so I could get a better feel for the rules, and I've been absorbing it over the past week. Today I went and bought my own dice! I only got exactly what my current character needs, but I'm sure I'll add to the collection later. The brown/black dice are my main ones; my PC's basic melee attacks deal 2d6+4 of damage. The two extra red/green ones are for when my PC goes into a blood rage to deal 4d6+4 damage, and the d8 is for his per-encounter action that deals a whopping 4d6+1d8+4. I'm considering using the small Nerf Dart bag to hold them for now, but Wifey may be knitting/sewing me a more appropriate satchel later. Game Two is next week and I aim to be ready for it. You know it's a fantasy setting, because Religion is linked to Intelligence. Zing! Cool pick Brad. I just took a pick, but don't know if I will use it. Looks like Brad wins by default... only one entry. I still hope to make an entry. Yeah, I might as well do as others have and give you until the end of the weekend. Sadly I had even forgotten about this one. Shame really, so many options and only one who played so far. So in hopes of at least one more entry the extended deadline is Sunday at 2359 Eastern. Really, it'll be when I wake up on Monday and take a look. It rained every weekend here for the last two months. I'm sure Brad's shot wasn't taken outside. Not a high-percentage opening position on his part actually. I beat him. Both entries are very good and fits great for the contest. Brad's image is all about play and yet the shadows set the mood for the "darkness" so many claim for that game. I choose Brad's image as the winner. Gah! How did this happen! You would-be photographers should be ashamed of yourselves! Congrats Brad. As for us would-be photographers, meh, it really just wasn't a topic that peaked my interest. Ahhhh, how did it happen that in the PCT on Child's Play I couldn't manage a shot, when my library is otherwise filled with 11 years of months of such shots?! Oh, well. Busy. Brad, nice shot, I like it, an imaginative winner. 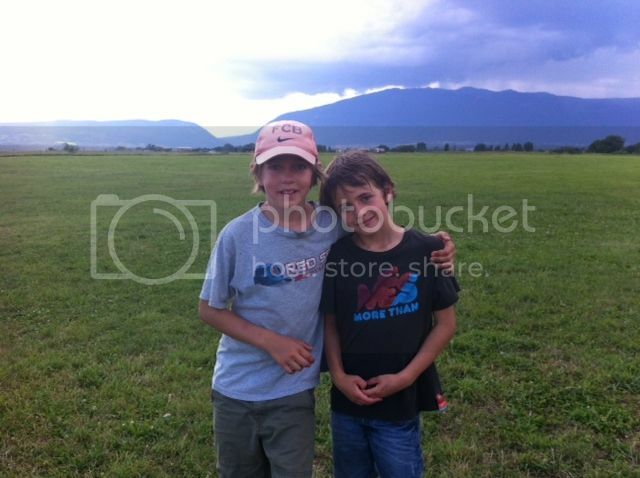 (I was just logging on to post this shot of boys at first week-long overnight summer camp (iPhone 4 shot); I can see the younger one actually needing his brother a bit instead of wishing him to stay the feck away. Nice chess opener! With kids (as well as adults) sometimes it's fun to just bust it all open like a cage fight.